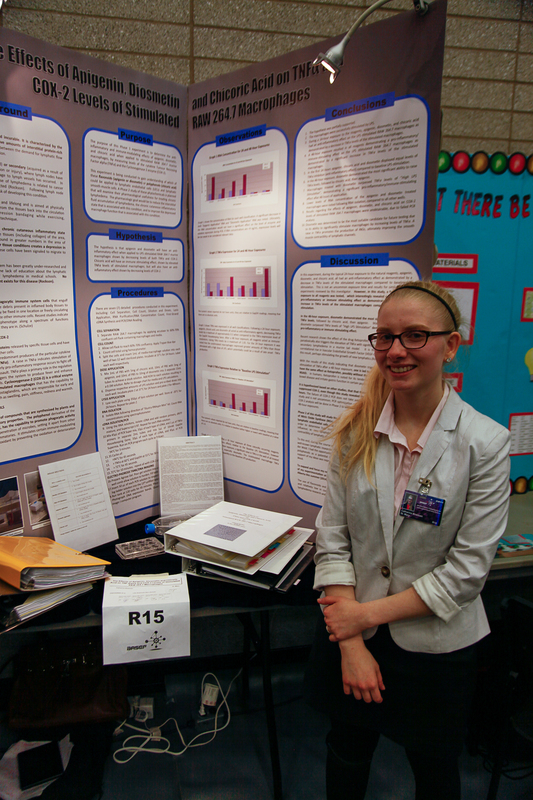 Catherine Bowman cleans up at the 2014 Bay Area Science and Engineering Fair! She received a number of awards including a BASEF gold medal, Cancer Assistance Programme Award – First, Hillfield Strathallan College Awards of Excellence- Biological Sciences Award, Hamilton Association da Vinci Award, Drs. Ranjan Sur and Monalisa Sur Award, Pinnacle Best in Fair and the ArcelorMittal Dofasco Pinnacle best-in-fair award at the Bay Area Science and Engineering Fair for her project. 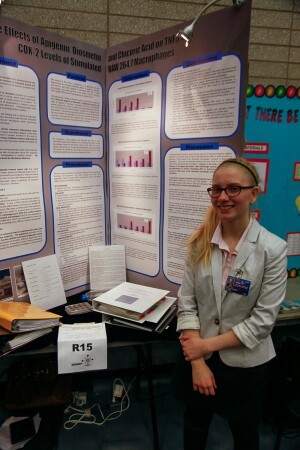 She’ll be presenting her work at Canada-wide and the International Science Fair! To read the article from the Hamilton Spectator, click here. Catherine Bowman beside her award winning poster (BASEF, March 2014).